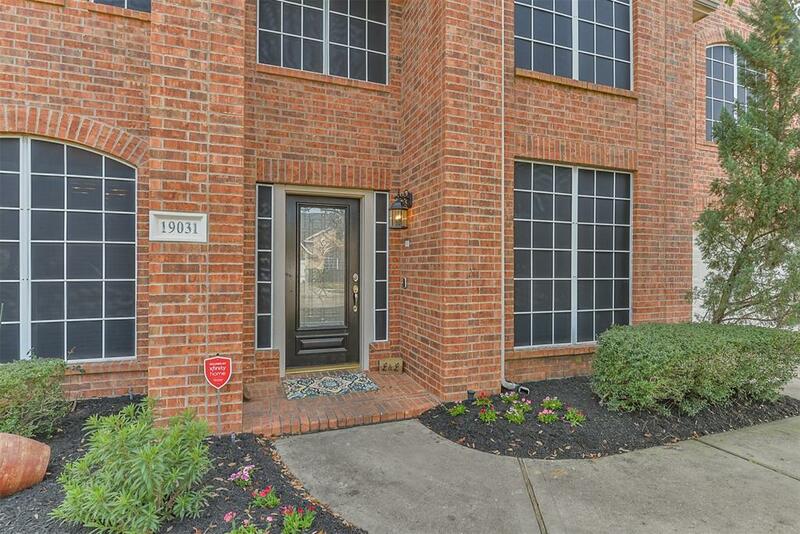 Fantastic updated home in wonderful manned/gated community. 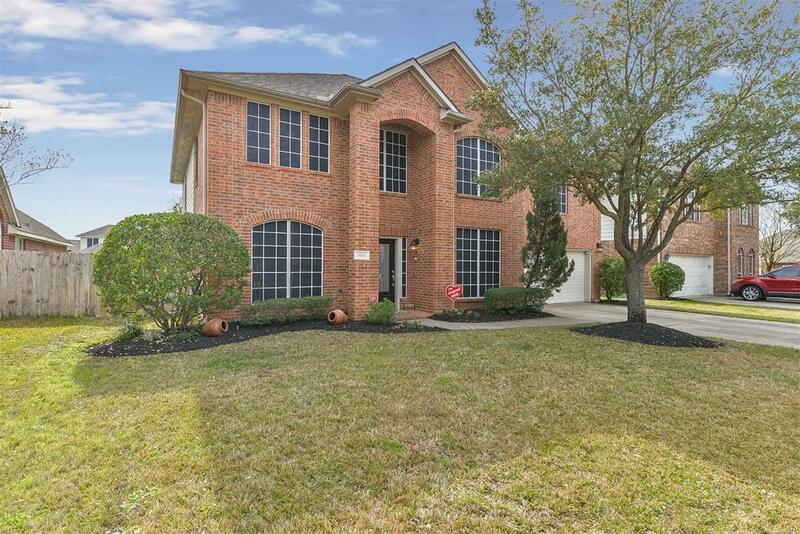 All new wood laminate flooring downstairs except wet areas, solar screens on all windows for efficiency, kitchen with new backsplash, light fixtures and sink fixture. 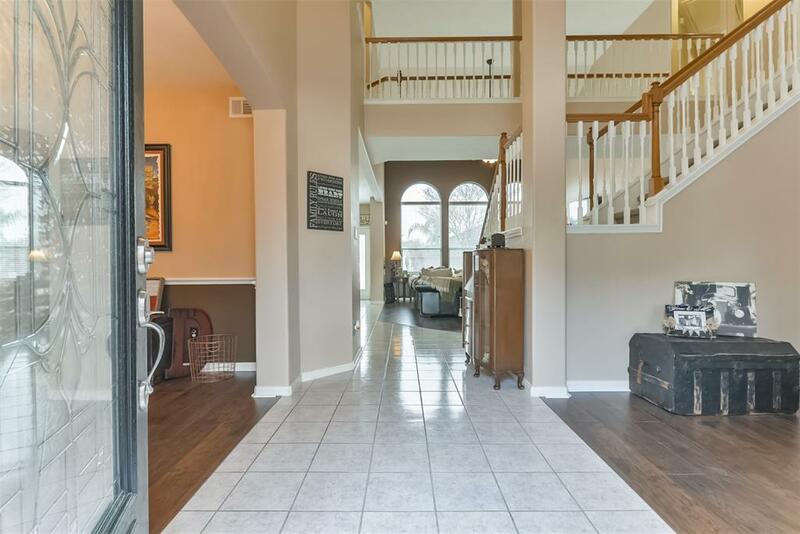 Downstairs includes Formal Living & Dining, Master Suite, Kitchen with large island (refrigerator stays), breakfast room with built-in bench seats. 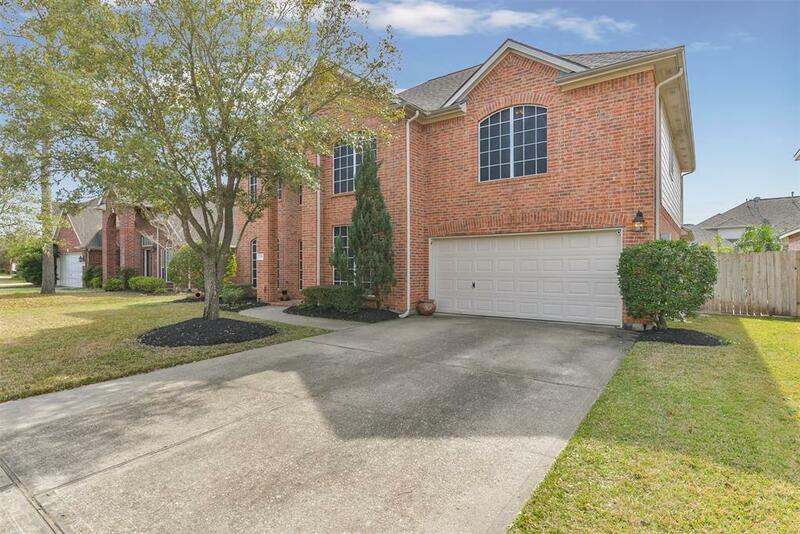 Open floor plan with large family room, fireplace, floor to ceiling arched windows & new ceiling fan. Huge Master suite has high ceiling, large walk in closet, Bath with double vanities. large tub and step in shower. Upstairs includes 3 Bedrooms with walk in closets & ceiling fans, 4th upstairs Bedroom/Flex Room with walk in closet adjoining, and Game Room. Huge backyard ready for a pool has new back fence, patio with twinkling lights and a newly remodeled shed which stays.